Anaheim, California (September 27, 2018) – McGraw Powersports / Western Service Contract, a provider of service and maintenance contracts, is excited to announce a brand new, innovative addition to their service contract offering in debuting an Electric Vehicle (EV) Extended Service Contract (ESC) option that will be available in dealerships throughout the United States. 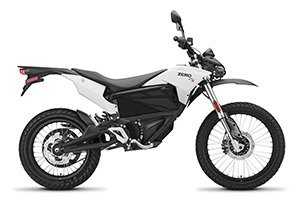 The EV ESC brings a new level of protection to the electric vehicle industry, which is becoming exponentially more prevalent in the powersports market. McGraw Powersports researched the technology to bring the most complete coverage available to EV owners and their new vehicles. The ESC will offer comprehensive coverage for all integral components in today’s electric vehicles, including, but not limited to battery, motor, controllers, braking system and a wide variety of vehicle components. This cutting-edge product is one of the first EV-specific Service Contracts and applies to new vehicles only. The contract can provide coverage for Motorcycles, UTVs and Electric Carts, that provide 12-48 months of coverage beyond the OEM warranty period. This product is now available in California and other select states. For more information, please contact David Bottini at dbottini@mcgrawpowersports.com. McGraw Powersports is a family-owned and operated business that was founded by Jack McGraw. The company is a leader in service contracts, and specialized coverage for motorcycles, jet skis, off-road vehicles and personal watercraft. McGraw Powersports is a subsidiary of parent company The McGraw Group, which includes Pacific Specialty Insurance Company and Western Service Contract.